ORAFOL continues to be in the fast lane, when it comes to keeping ahead in the market for reflective marking tapes for the transport industry. The newest addition to the range is ORALITE® VC 104+ Imagine Evo. This is the second generation of the Imagine tape, which was introduced already several years ago. 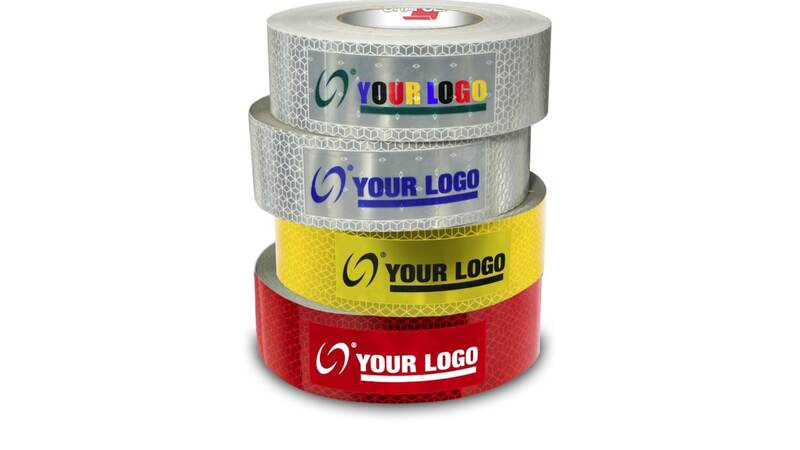 The product was the first of its kind to enable integration of customer logos directly into the reflective tape. But where this great 24-7 branding was until now just for large volumes, the new Imagine Evo tape opens up this possibility also for small quantities down to just 6 rolls. ORAFOL has over the last decade thoroughly cemented its position as European market leader for ECE 104 approved tapes, and continues to lead the way.